Our farm shop is open every Tuesday - Sunday, 9am - 4pm and we are closed on Mondays. 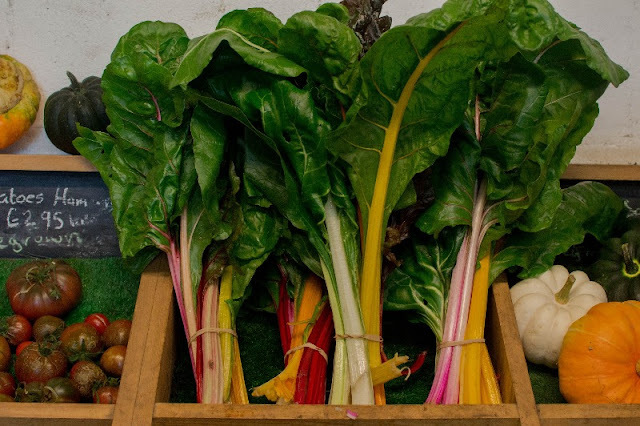 We cut all our fresh vegetables every day so you will get the freshest and tastiest produce available. 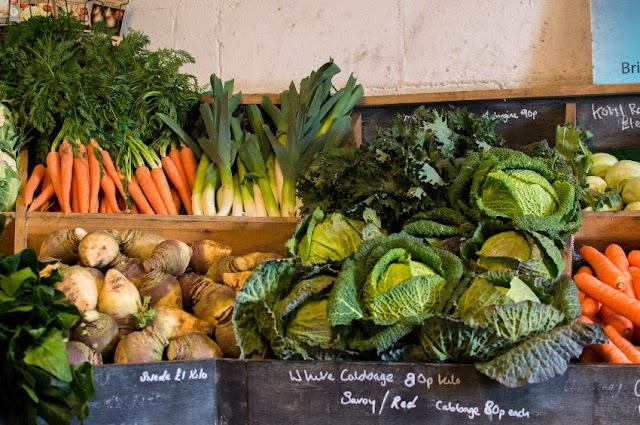 Not only do we sell our own crops, we also have the storecupboard essentials - garlic, onions, carrots, shallots, ginger and lemons. 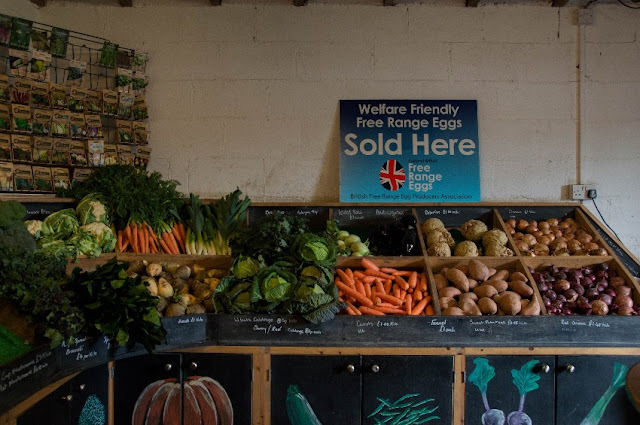 Freshly laid free range duck eggs and chicken eggs (from our own ducks and chickens) are also available. We have a wide selection of fresh fruits including bananas, grapes, apples, oranges, satsumas and pears. When our own fruit is available we sell those too. 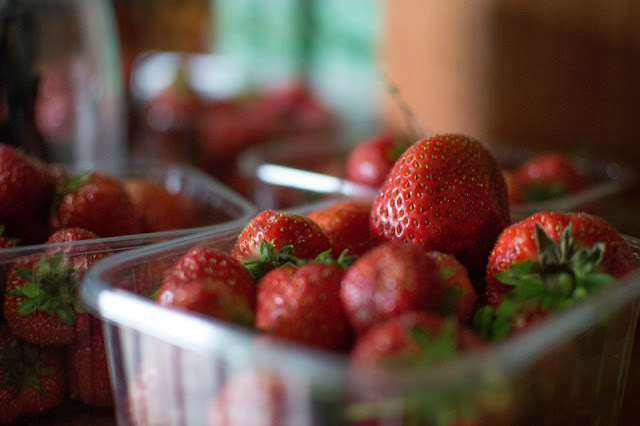 In the summer we have our own delicious strawberries, raspberries, gooseberries, redcurrants and blackcurrants. Heading into autumn we have our own apples, pears and plums. Our potatoes are sold individually and also in sacks (7.5kg, 12.5kg, 25kg). Vicky's Mum Heather makes all our jams and curds using produce from the farm and the shop. Her 'Granny's Jam' is one of our most popular products and it truly is out of this world! 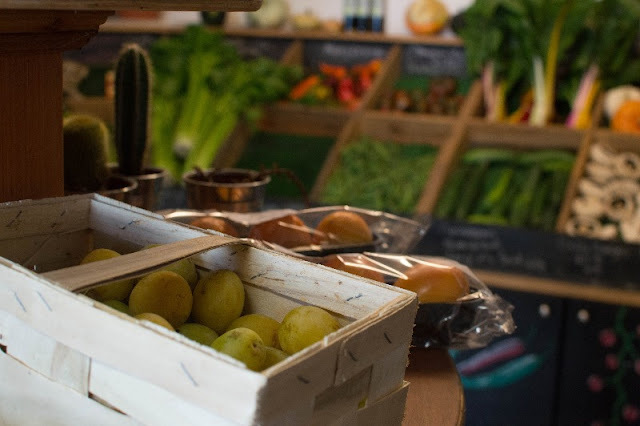 In addition to all of these we sell a wide range of products from other fine food producers - The Chilli Jam Man Wildon Grange and The Seasonal Larder. 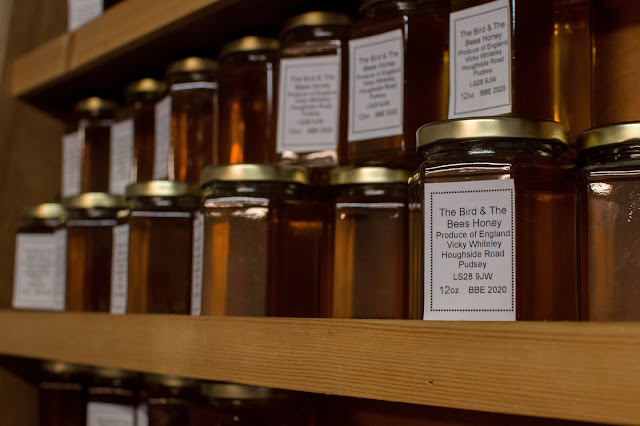 Vicky is also a member of the Yorkshire Beekeepers Association and produces her own superb honey. Her bees forage on the farmland and this flavours the honey, making each batch completely unique. They are currently foraging on the blackberries, late strawberries, Autumn Bliss raspberries, courgette flowers and our purple sprouting broccoli that is going to seed. The new batch of honey is bursting with luscious berry flavours! Come visit us in the farm shop and see our wonderful selection of delicious homegrown produce. We look forward to meeting you there.